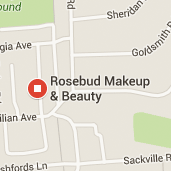 I understand that things happen and don’t always go to plan, however, Rosebud makeup & beauty require 24 hours notice should you need to cancel your appointment as this time is reserved especially for you. If you do not attend your appointment and have not given notice then 50% of the treatment price will be charged. When booking your make-up for your big day there is a non-refundable booking fee of £50 this is required in order to secure your wedding make-up booking. Wedding bookings are subject to availability and are only booked once the booking fee is paid. The booking fee is taken off against the final payment. The final payment should be paid either in cash on your wedding day or by any other methods at least 5 working days prior to your wedding. Travel charges 10 miles outside the BN14 postal code are additional to the price and will be charged at 50 pence per mile for a return journey. If you have any concerns or would like more information about the terms and conditions please get in touch.